It's been a while! 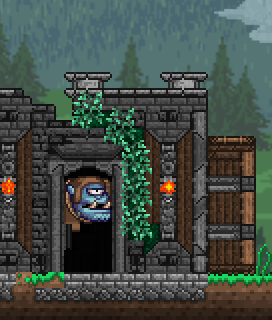 heh Thought I'd post a personal favorite build of mine so far. I've learned a lot! Eyy, so you're the one who got retweeted by Re-Logic. BlueJay_T_Gaming and Viashino like this. Can you tell me where find the cheat sheet extended? BlueJay_T_Gaming and Daikonradish like this. Cheat sheet extended? Not quite sure what you mean, unless you're referring to 'Hero's mod' ? 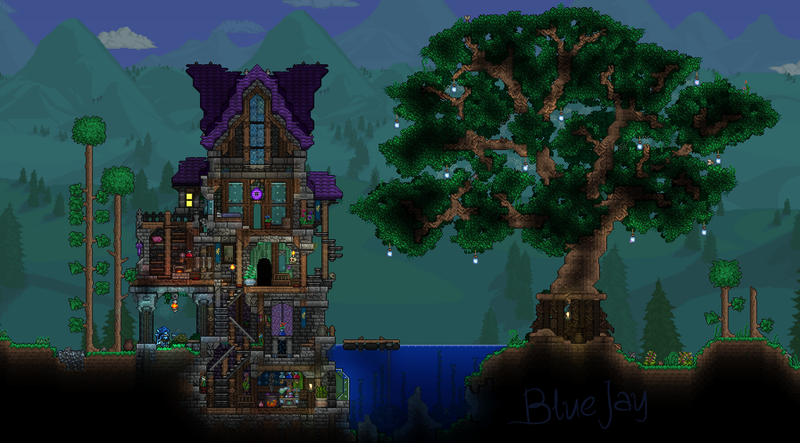 Your constructions are a strong inspiration for anyone who wants to start building in terraria! Viashino, BlueJay_T_Gaming and Daikonradish like this. 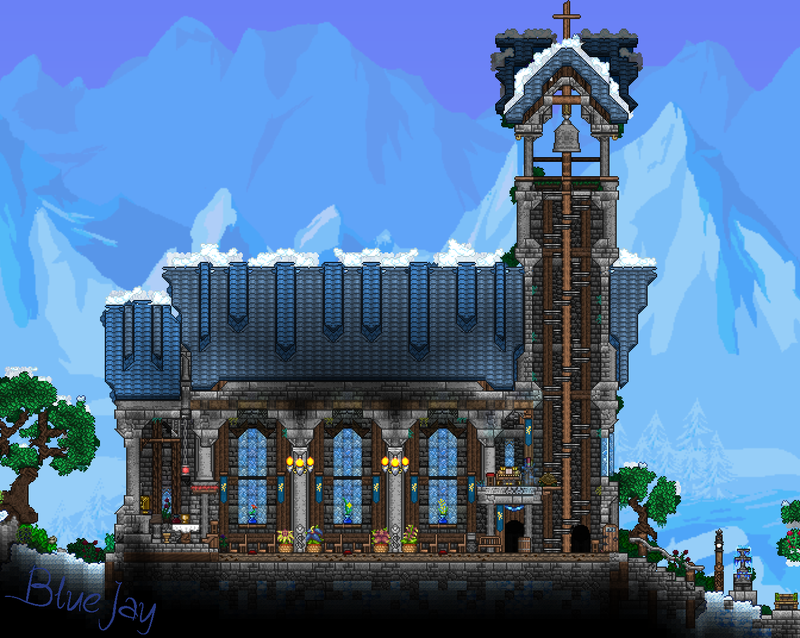 I was looking at your CC entry, and I’m convinced that your probably the best builder in Terraria. You added your own SHADOWS! It’s to the right of the Sawmill, and inbetween the pot and barrel. The little arch has shadows beneath it, or at least it looks like it. 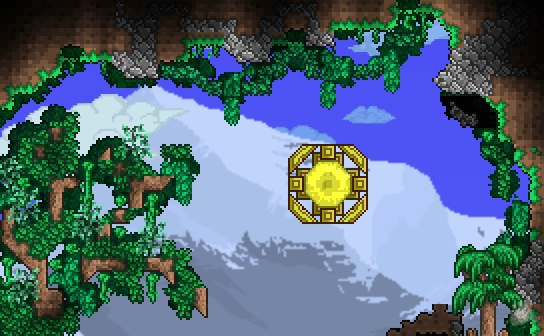 Creation Compendium submission = my brain parts lovingly sploded by mind boom. I guess that's my weird way of saying it was awesome! Cyastic and BlueJay_T_Gaming like this. 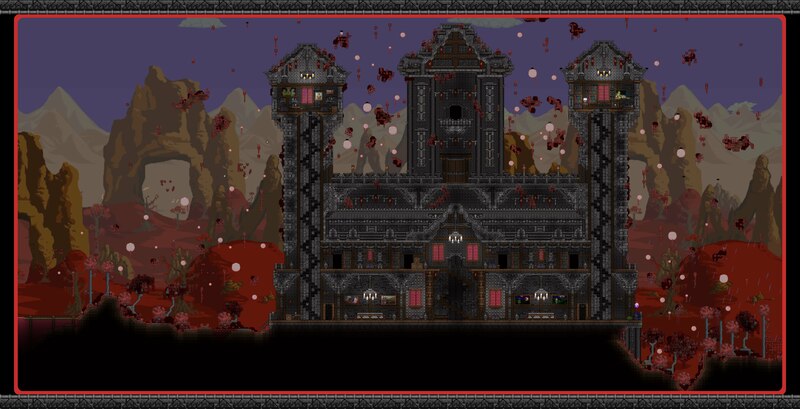 Maybe im asking toon much but i was thinking if you could help me create a dark souls style map where every choice will change the boss,the area u can explore and the end. All I have to say, is I can't wait till 1.3.6! Mintbut, Realith, Jetstream ∞ and 1 other person like this. Haven't said anything here in a while hm, Well, I guess here is a adventure map spoiler been making great progresses. HOLY CRAP... I wish I was creative enough to build anything REMOTELY like you. 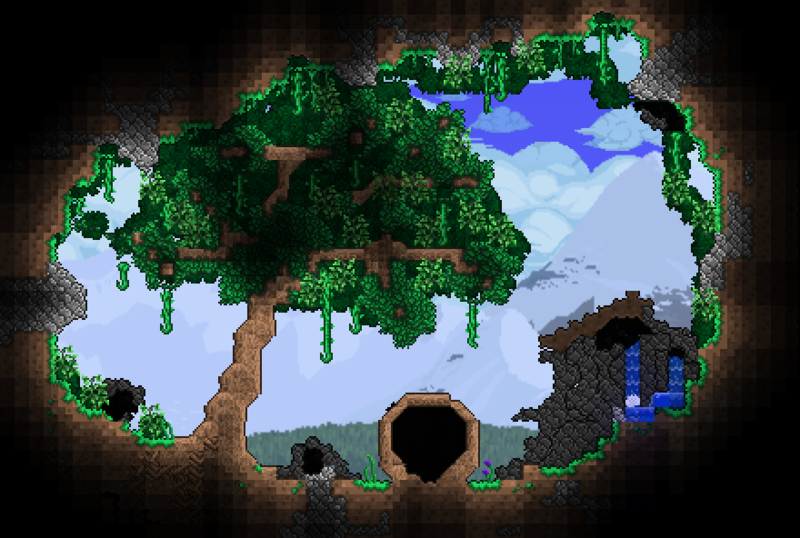 Your one of the best terraria builders I've ever seen my dude! Mintbut, BlueJay_T_Gaming and Daikonradish like this. Enroke, Jetstream ∞, GGamer4510 and 7 others like this. Getting pumped for the creation compendium tmrw! Enroke, Jetstream ∞, MinerTurtle45 and 9 others like this. I've been busy IRL and haven't been on here much. but I have I'm fairly active in discord. join if you'd like ^_^ Join the BlueJayT's Bird Nest™ Discord Server! Wait what's this for again?